Our location is only 65 miles northwest of downtown Toledo… so, if jumping out of fast, turbine aircraft is what you crave, then we’re the place you’re looking for! 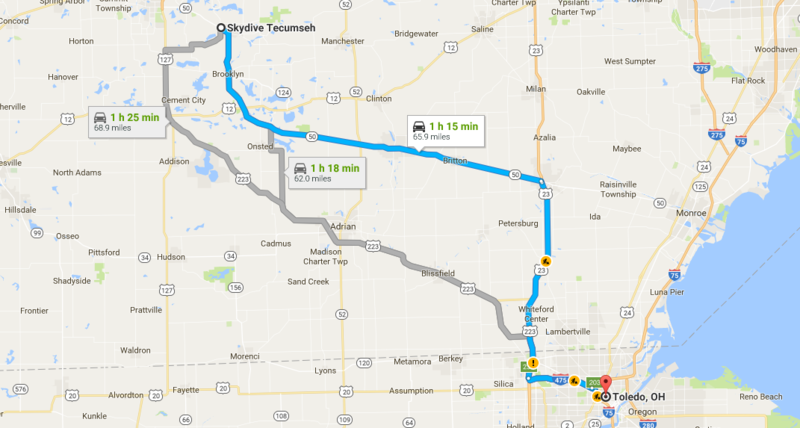 As you can see from the map above, we’re a short drive from Toledo and we’re also the closest skydiving location. Not only are we the closest, but we also offer an amazing experience because of the aircraft we fly. Skydive Tecumseh flies a super fast King Air that will allow you and a couple of friends to enjoy a skydive together from 9,000, 14,000 or 18,000 feet. 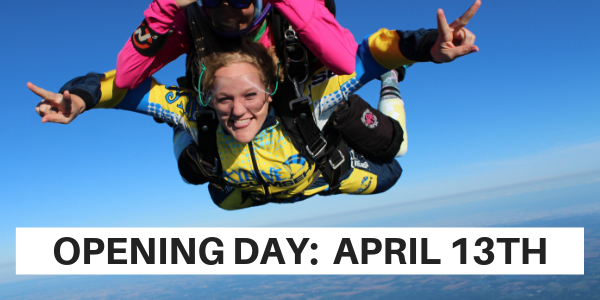 We’d love to host you for your skydive! If you have any questions, please contact us or call us at 1-517-423-7720.